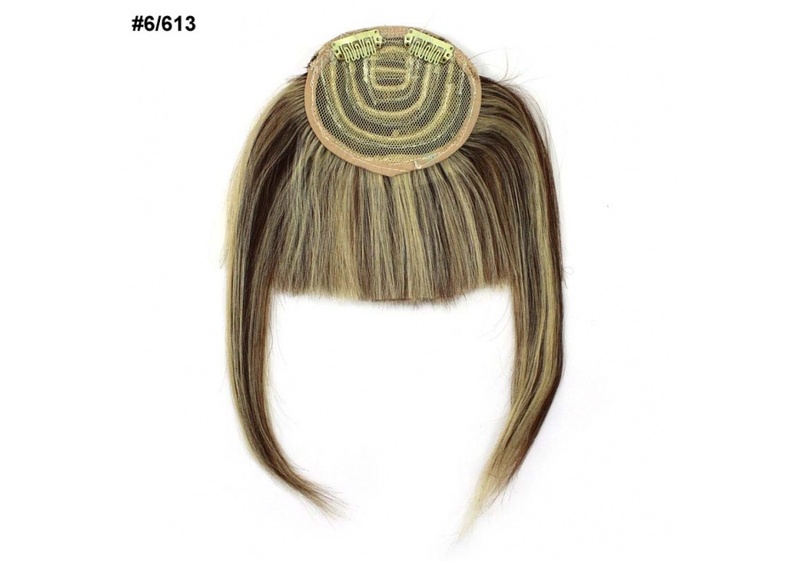 Fringes are getting more and more popular and there are so many different styles you can choose from. 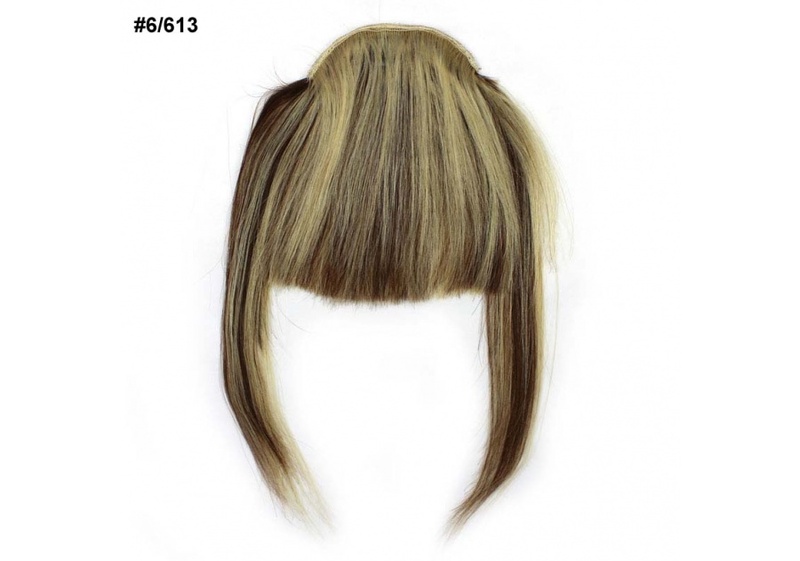 If you’re feeling bored with your hair and want to change it up, bangs are a great choice. 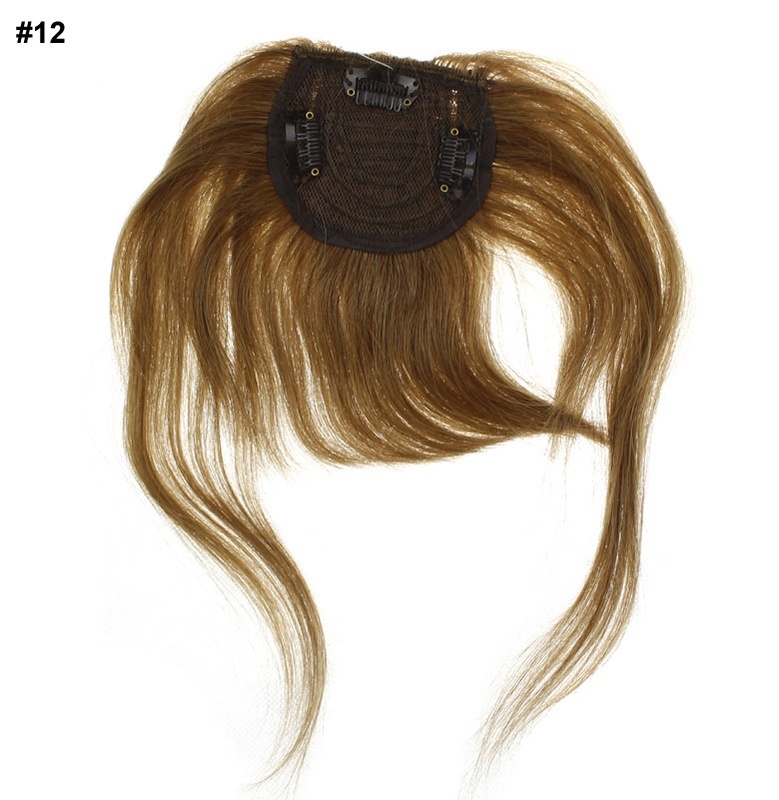 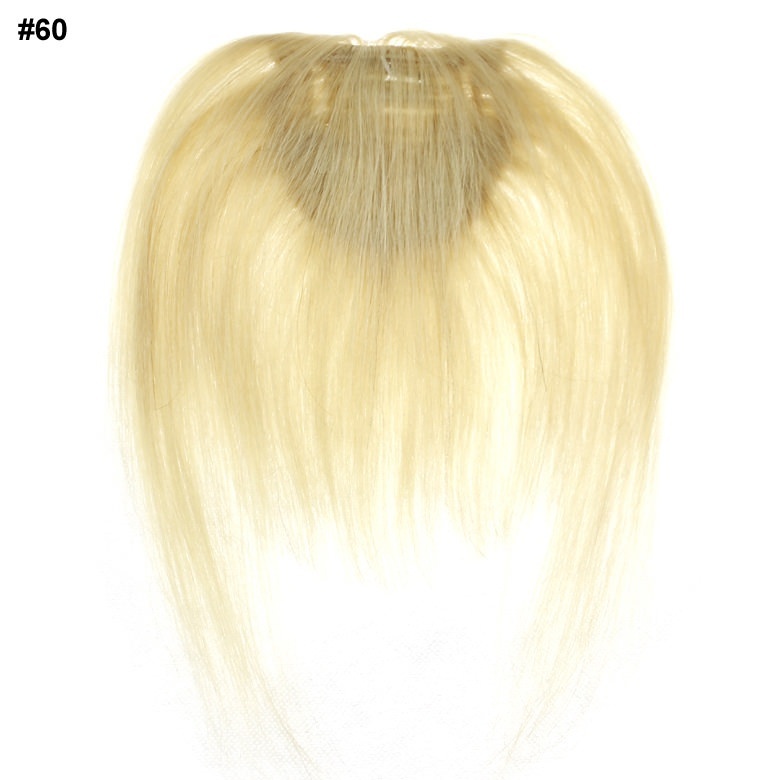 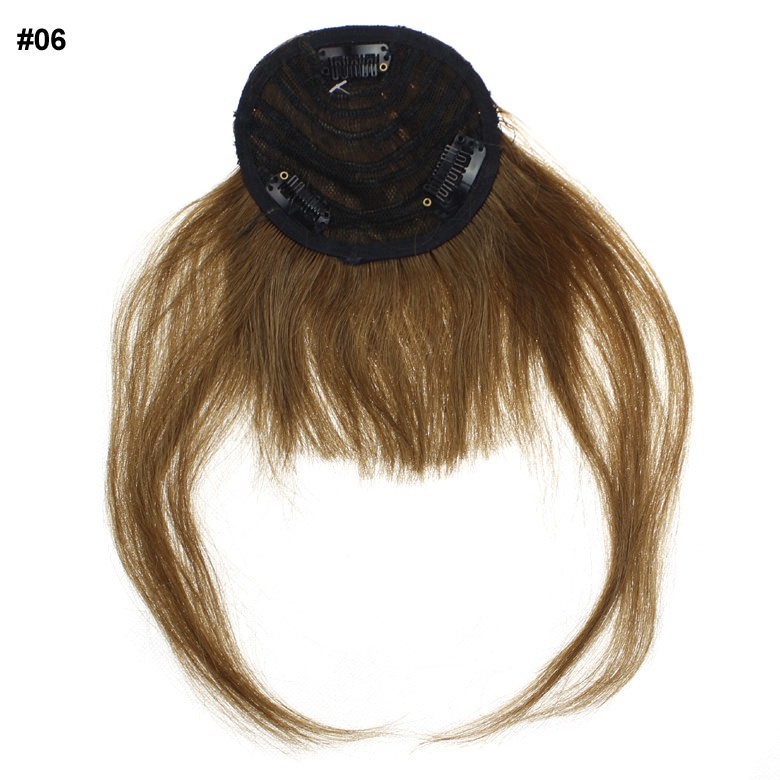 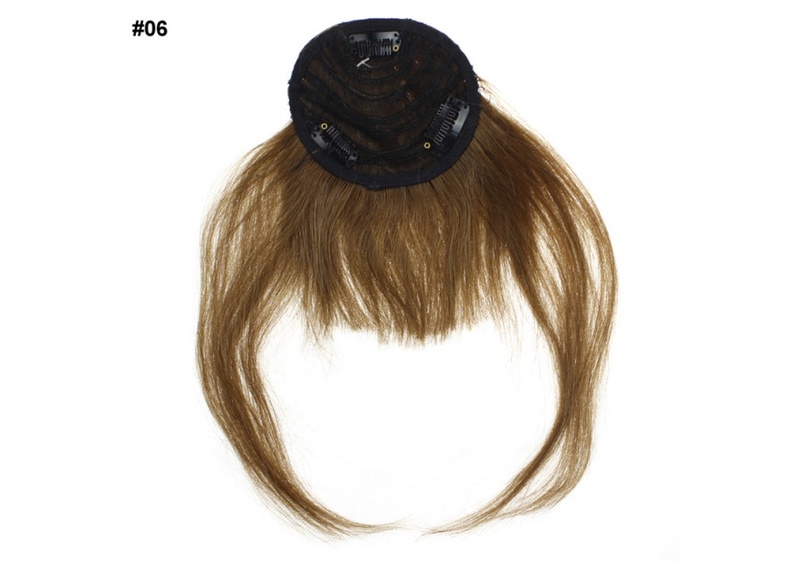 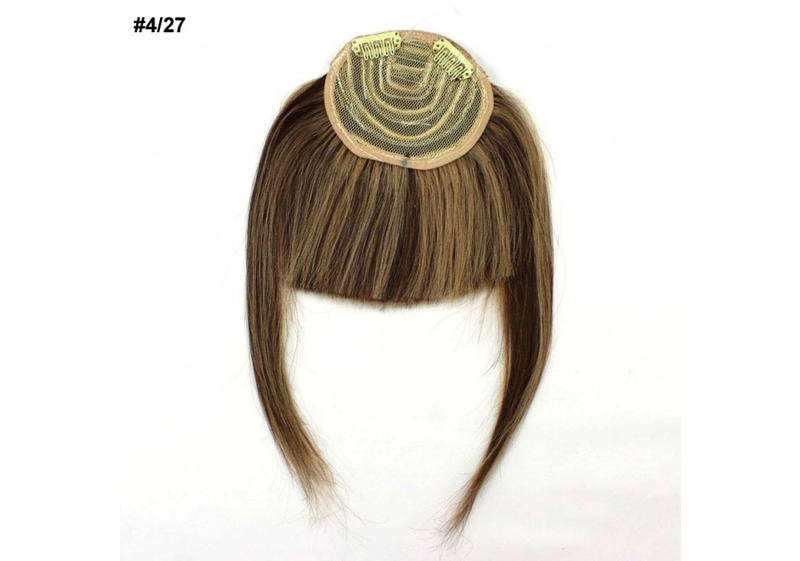 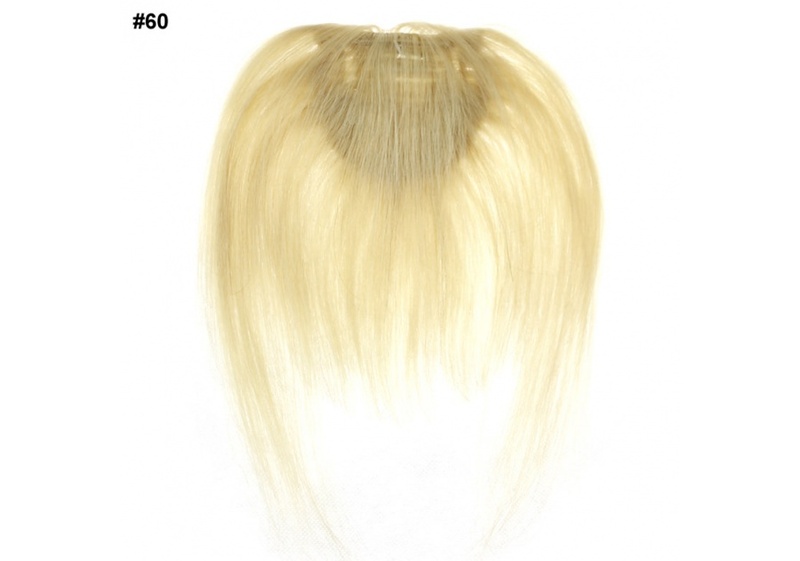 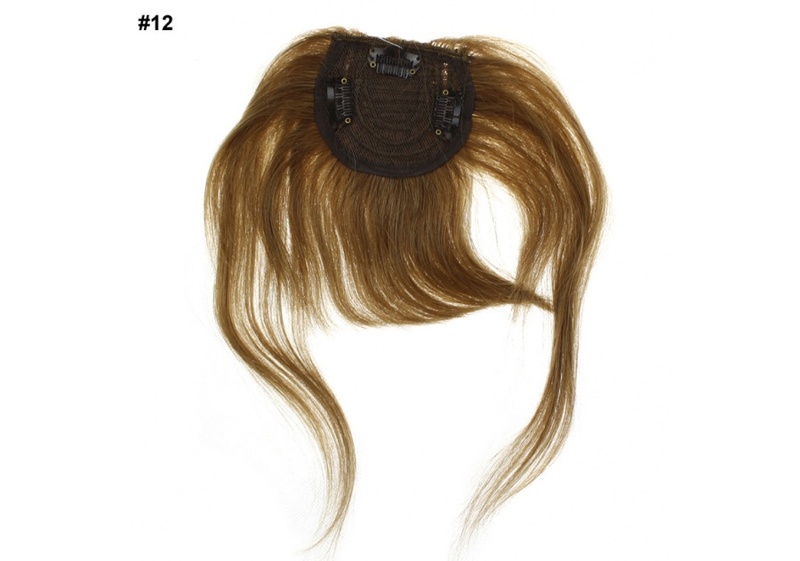 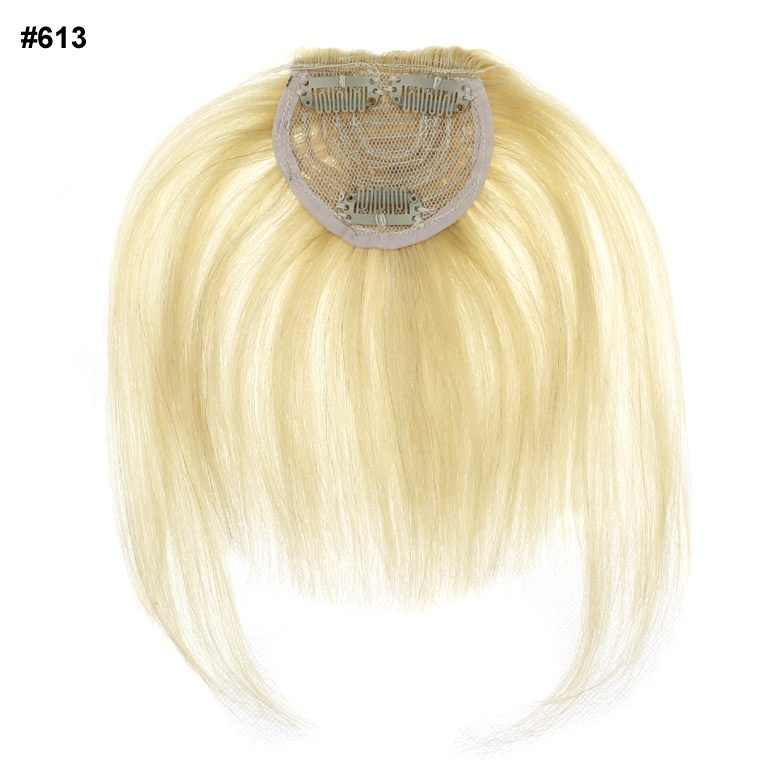 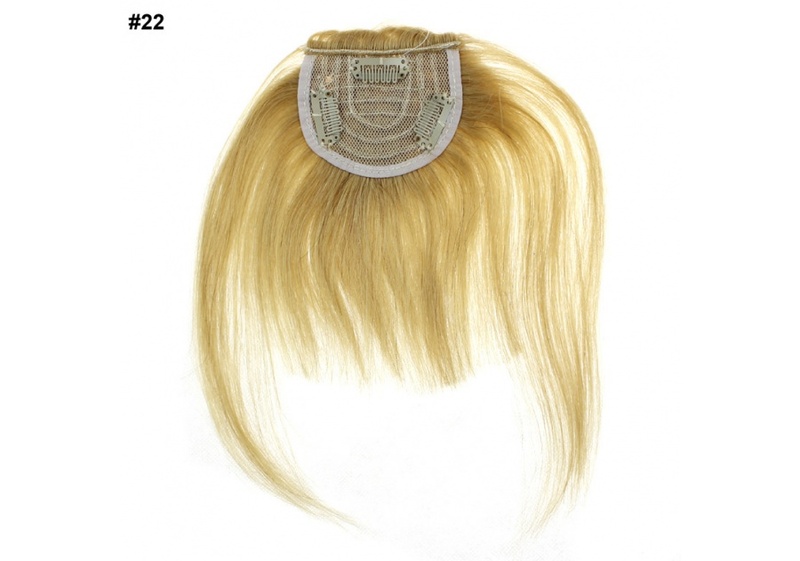 AiryHair clip-in fringes are made of 100% real Remy human hair. 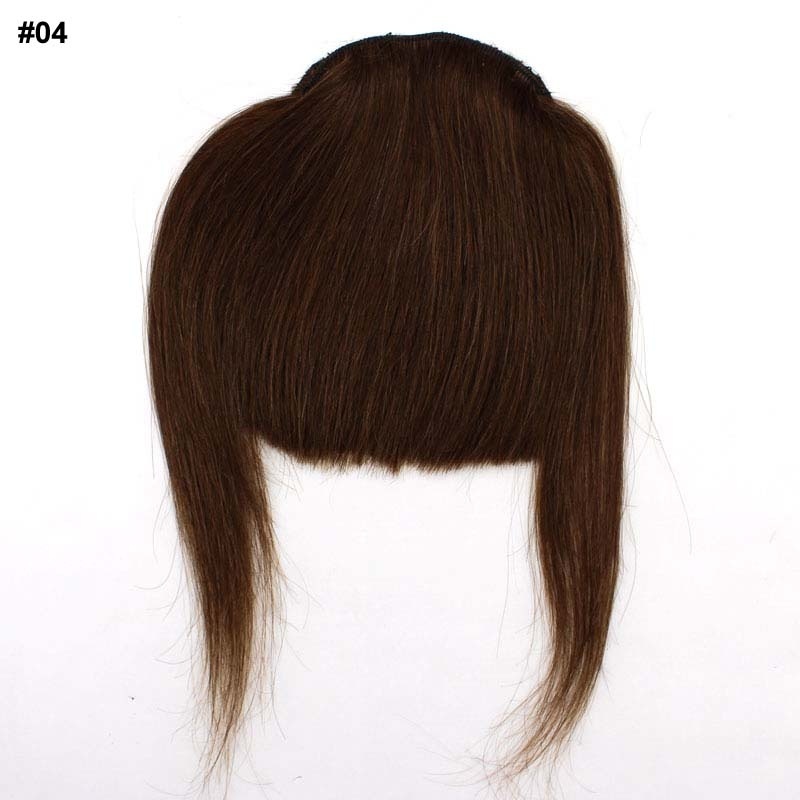 No one will ever notice that it’s not your own hair. 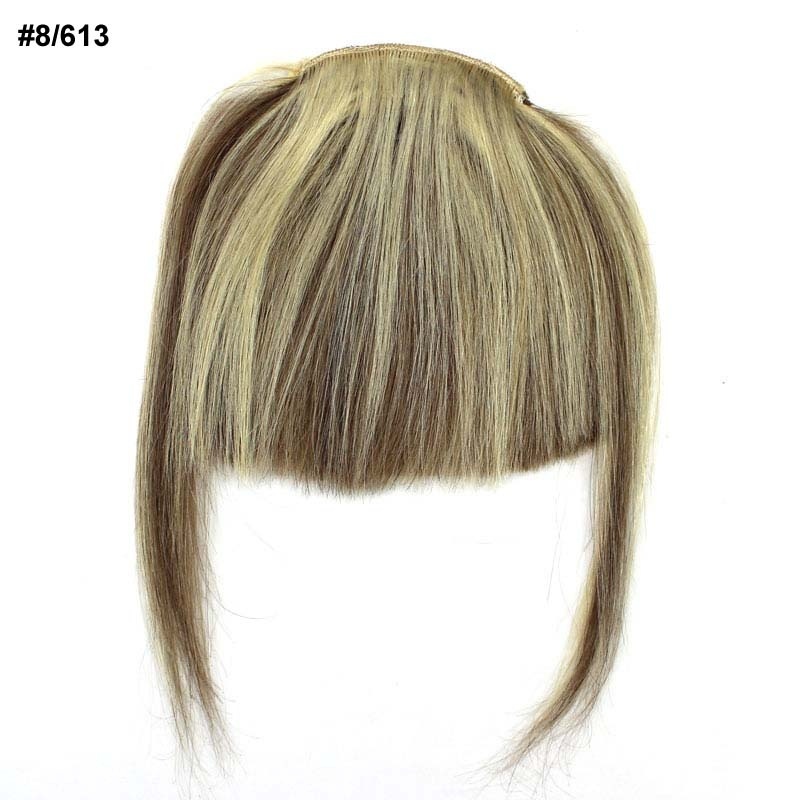 We offer over a dozen different trendy styles that will match your own taste and personality, and to make things easier, you can pick from many different colors and shades, blending with your natural hair perfectly. 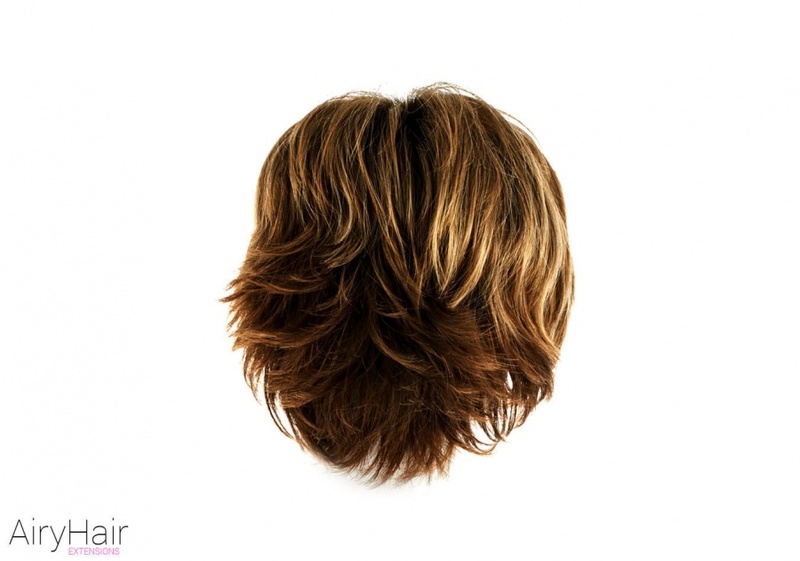 Of course, sometimes it’s hard to make that permanent decision of cutting hair because you’re not sure how it’s going to look and shape your face. 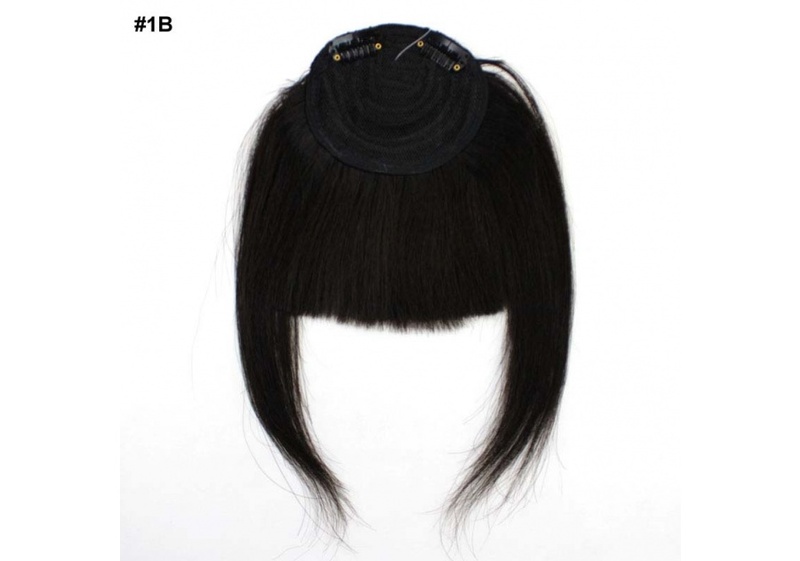 Luckily, you can get the clip-in fringe and test a new style without doing anything to your natural hair. 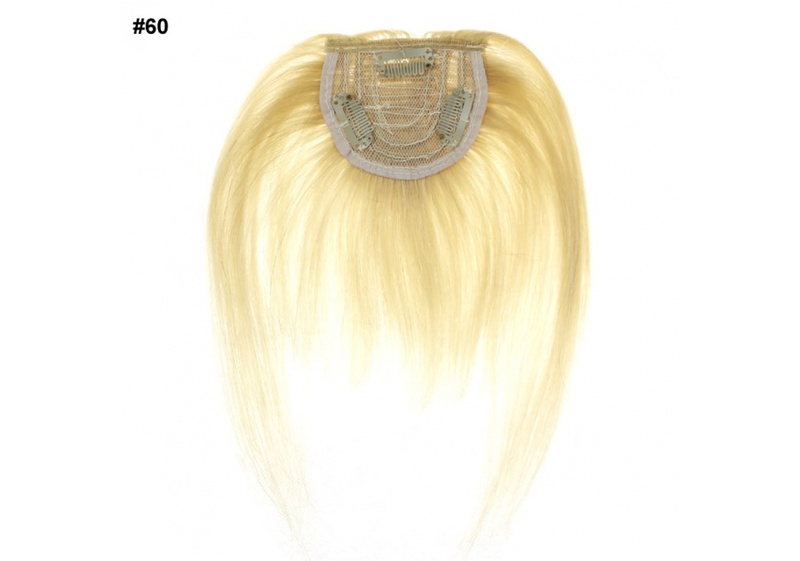 Also, if you don’t want permanent human hair extensions that will be there all the time, wearing a clip-in fringe offers you flexibility beyond any other products. 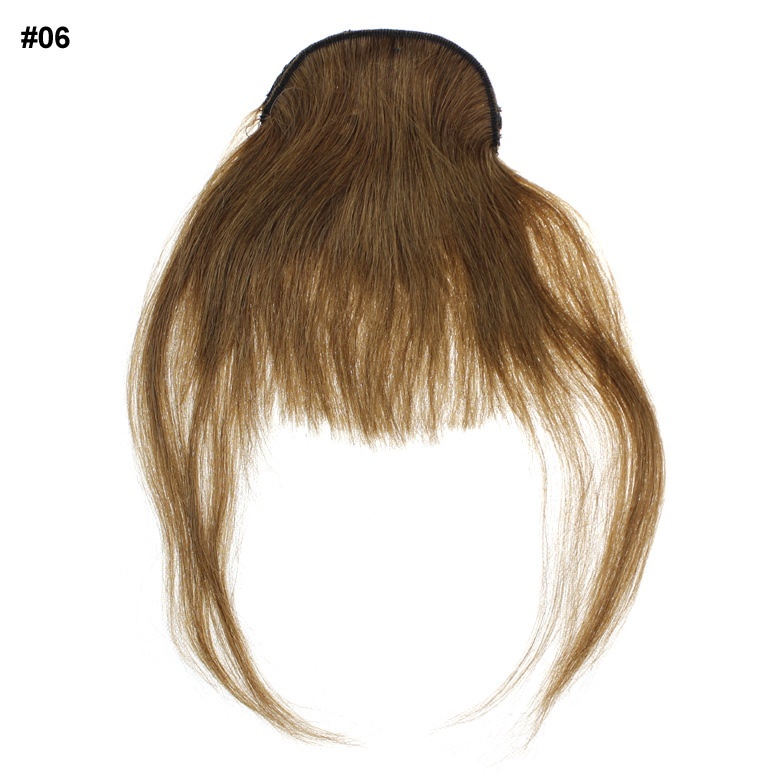 Why go with real rather than synthetic hair? 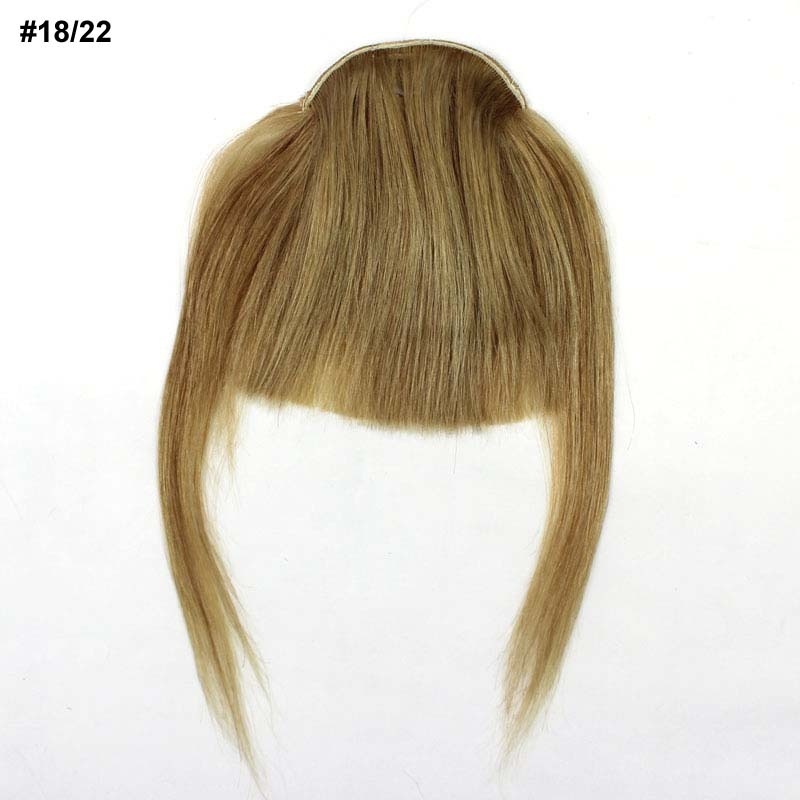 You can dye, cut, wash and even use a hair straightener or curling iron (up to 180 F*) to style it the way you want. 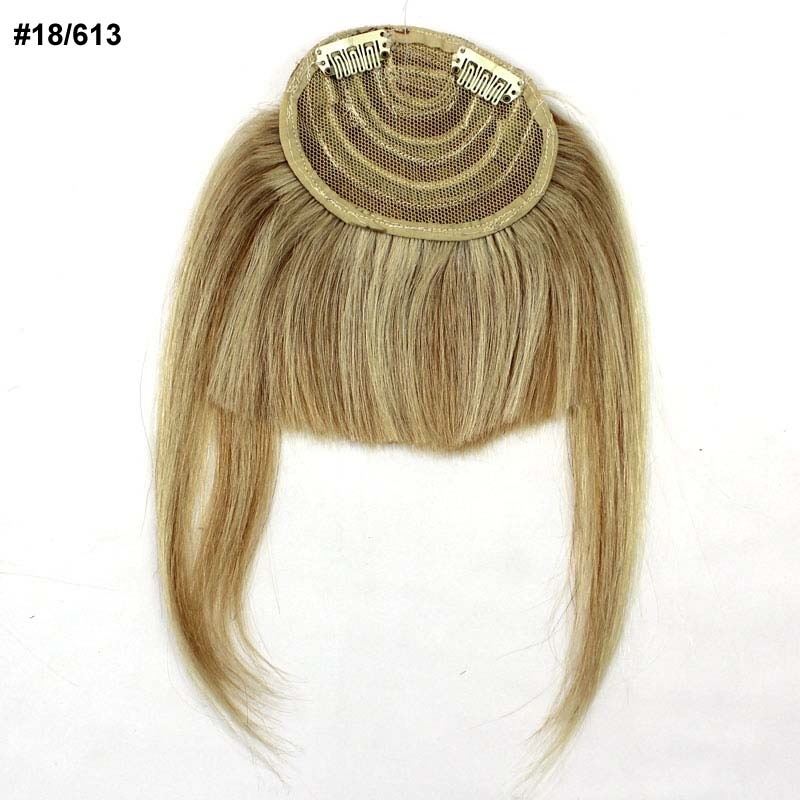 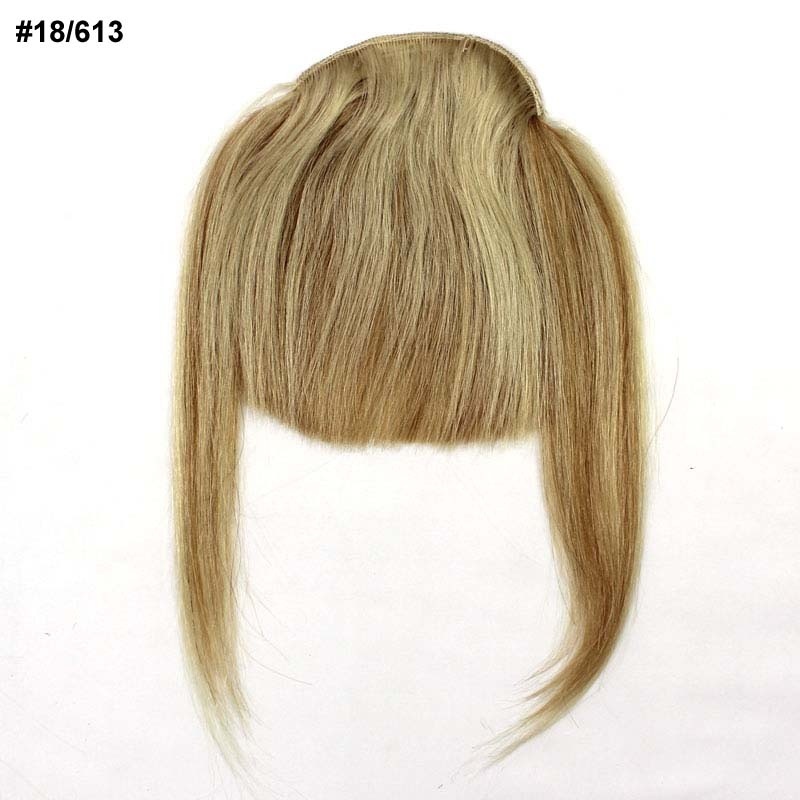 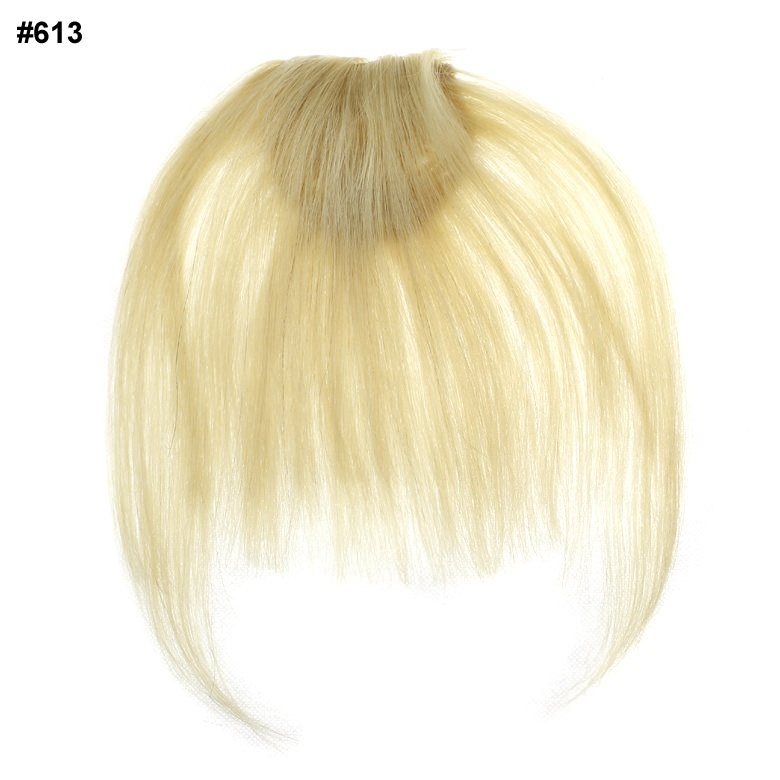 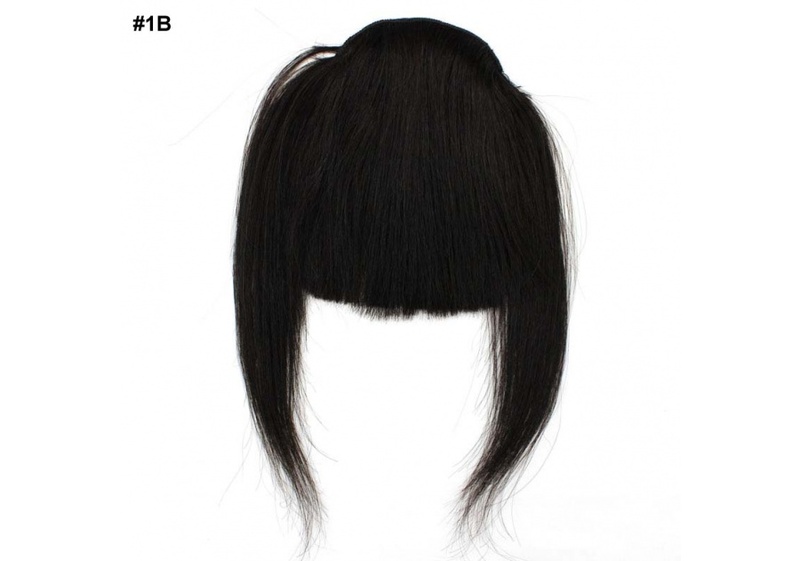 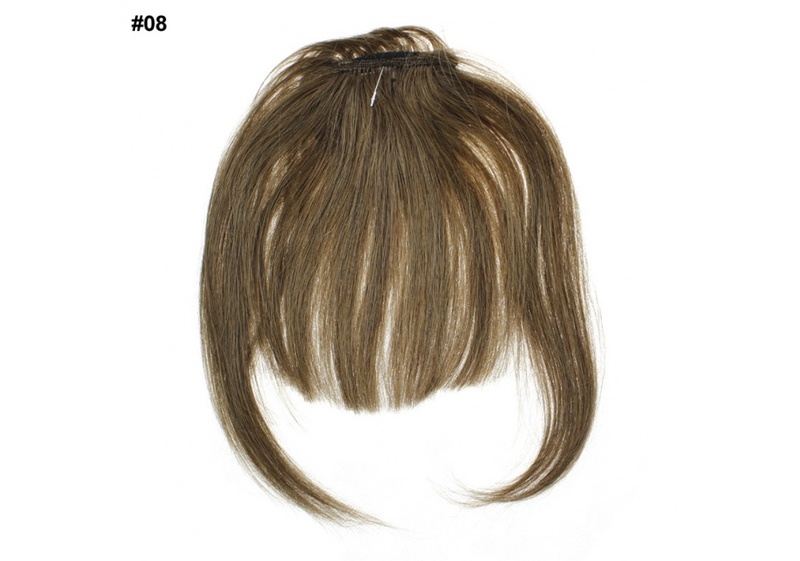 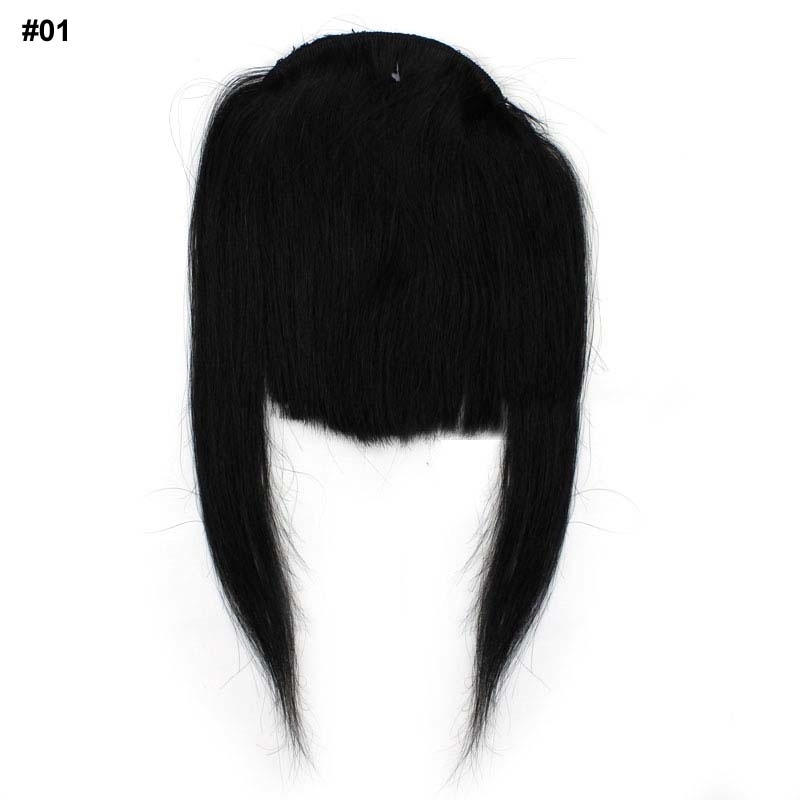 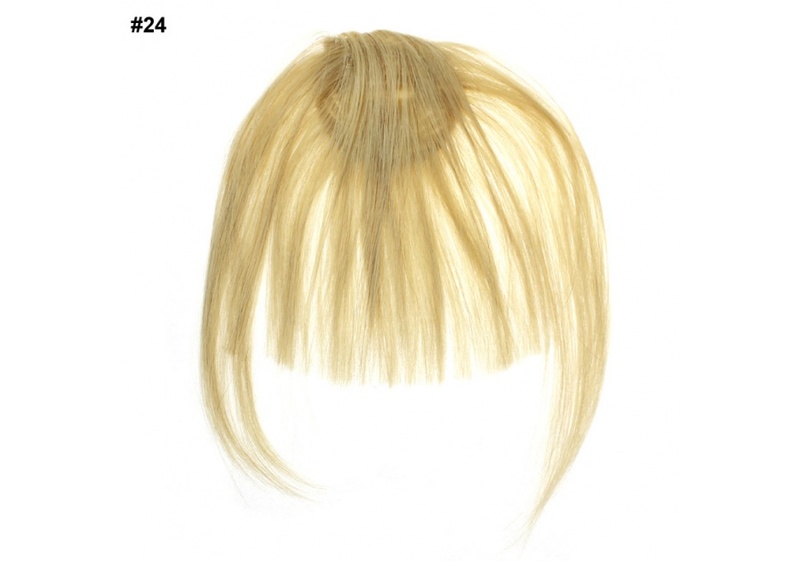 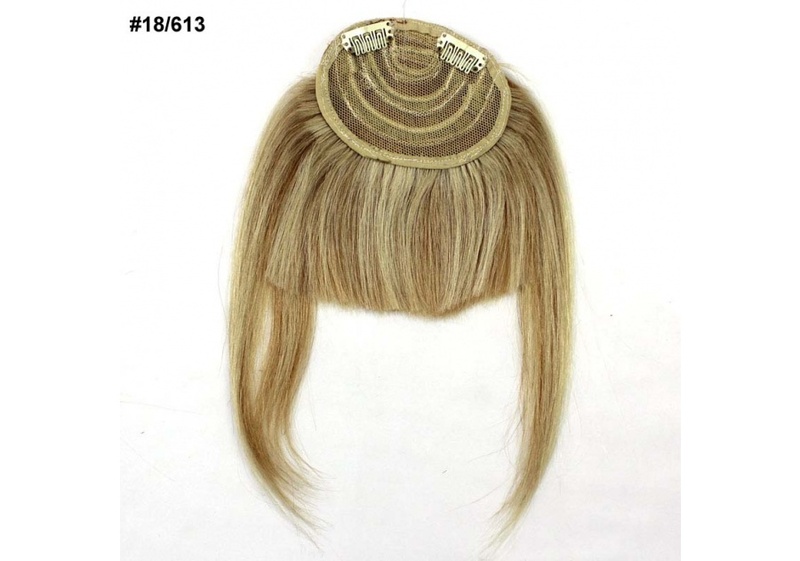 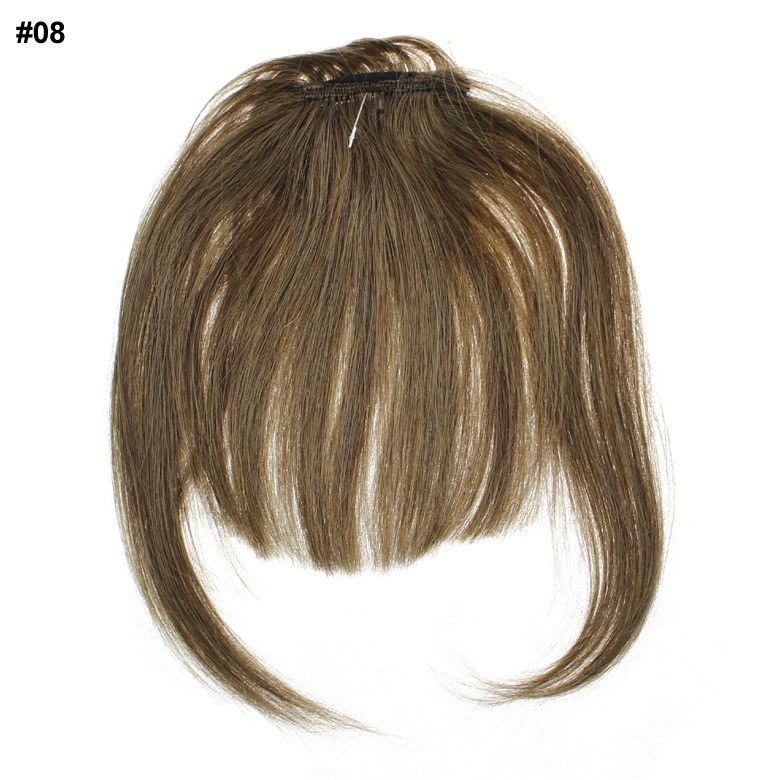 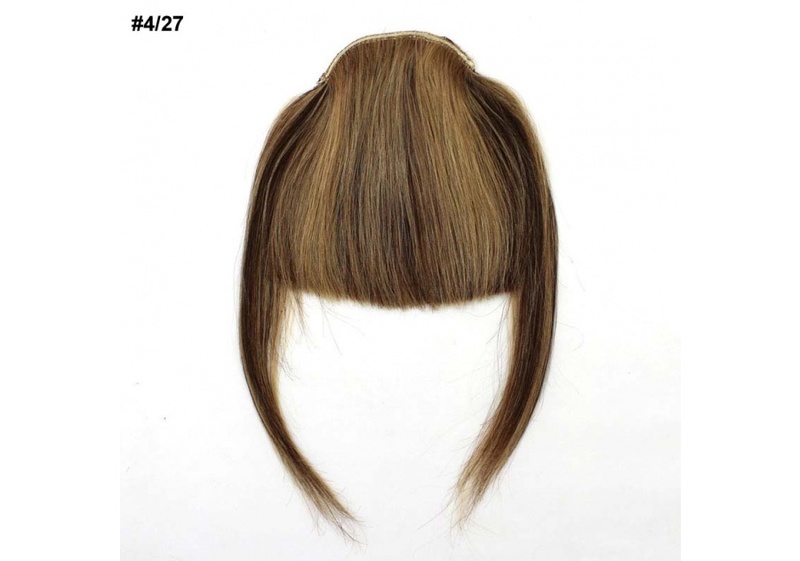 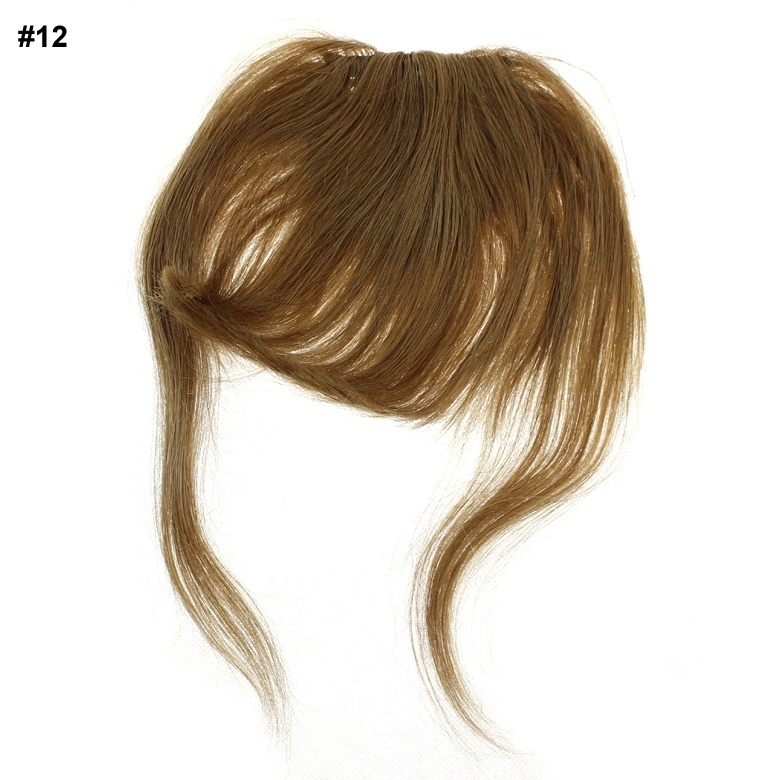 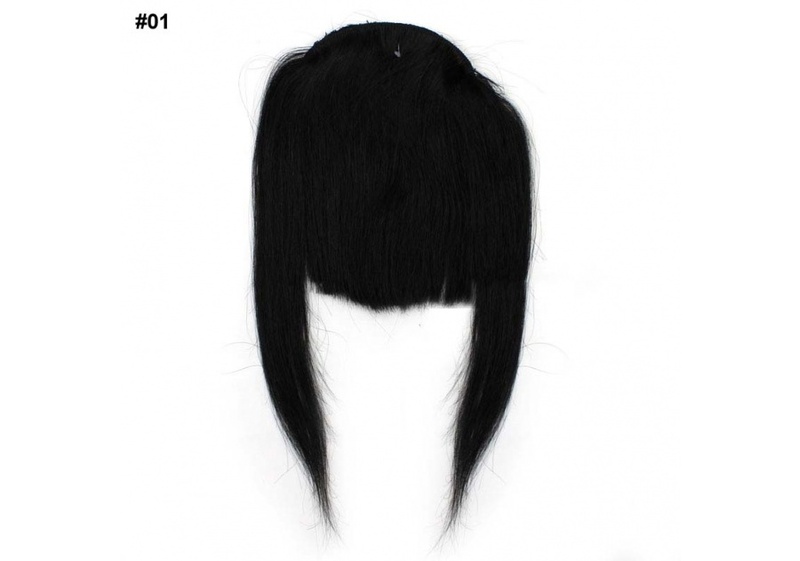 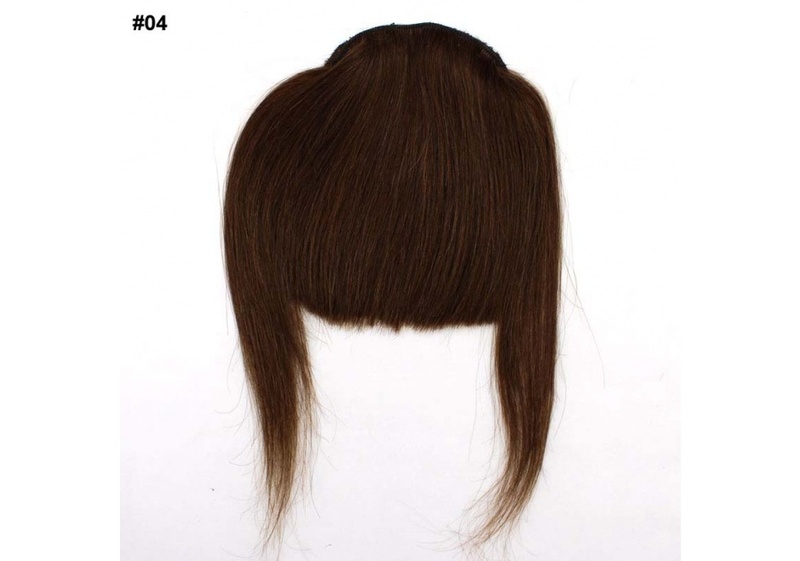 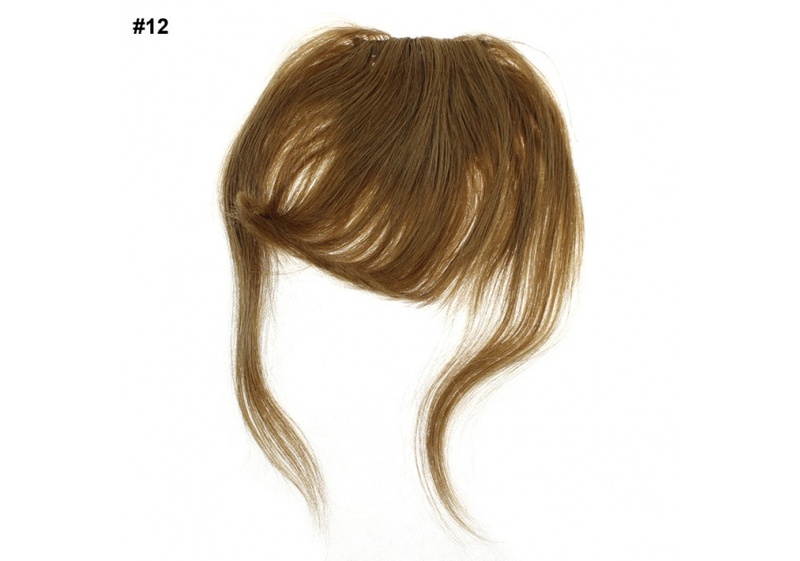 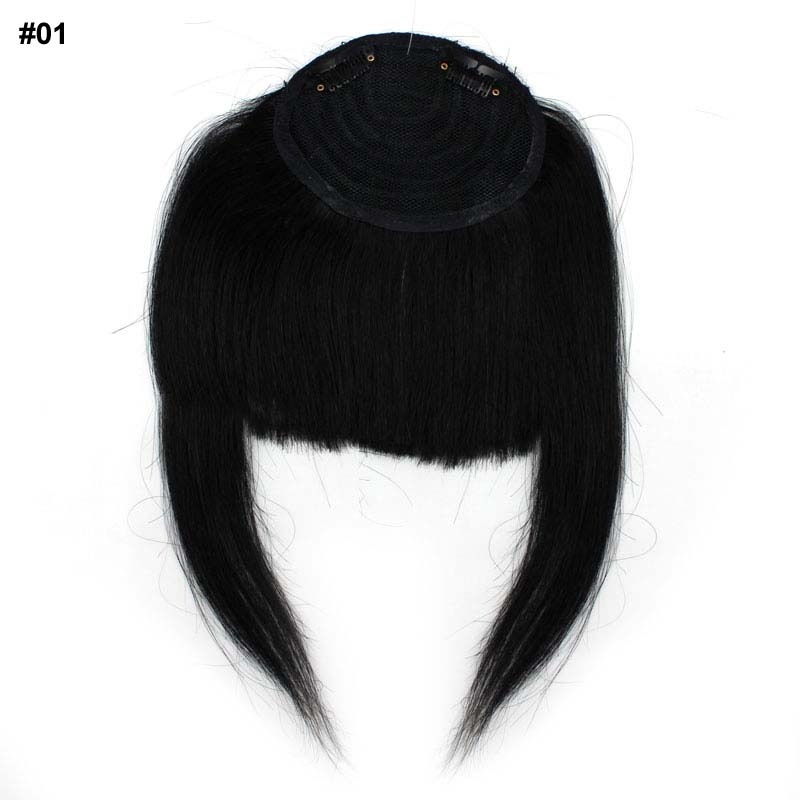 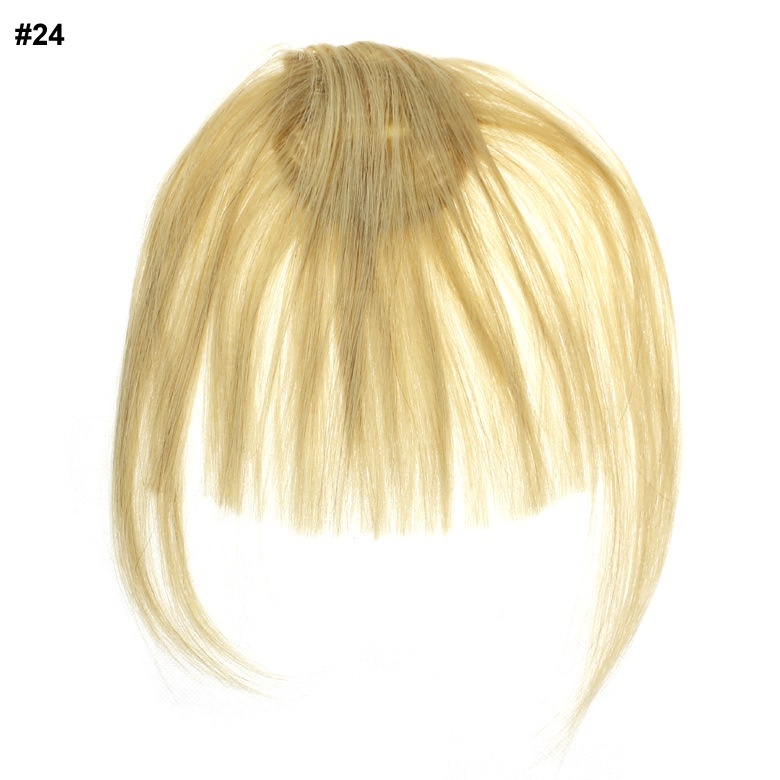 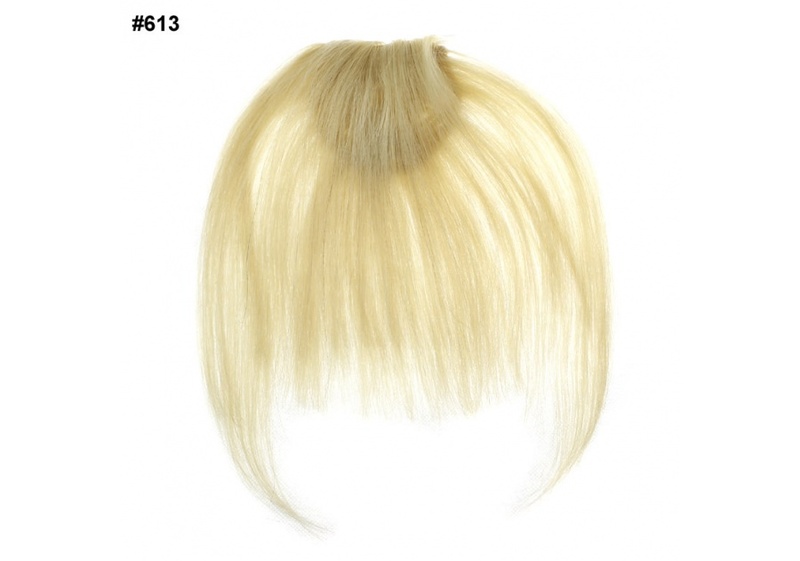 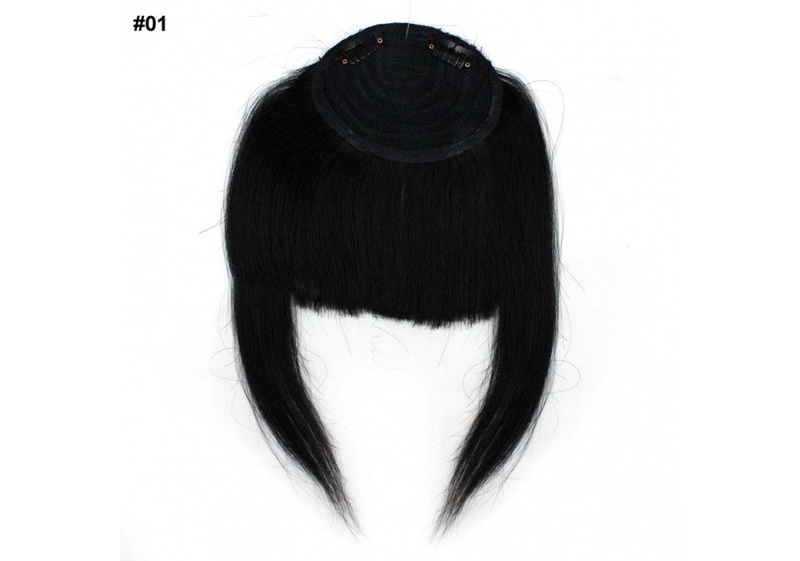 We also offer full wigs with bangs if you need much more hair and volume. 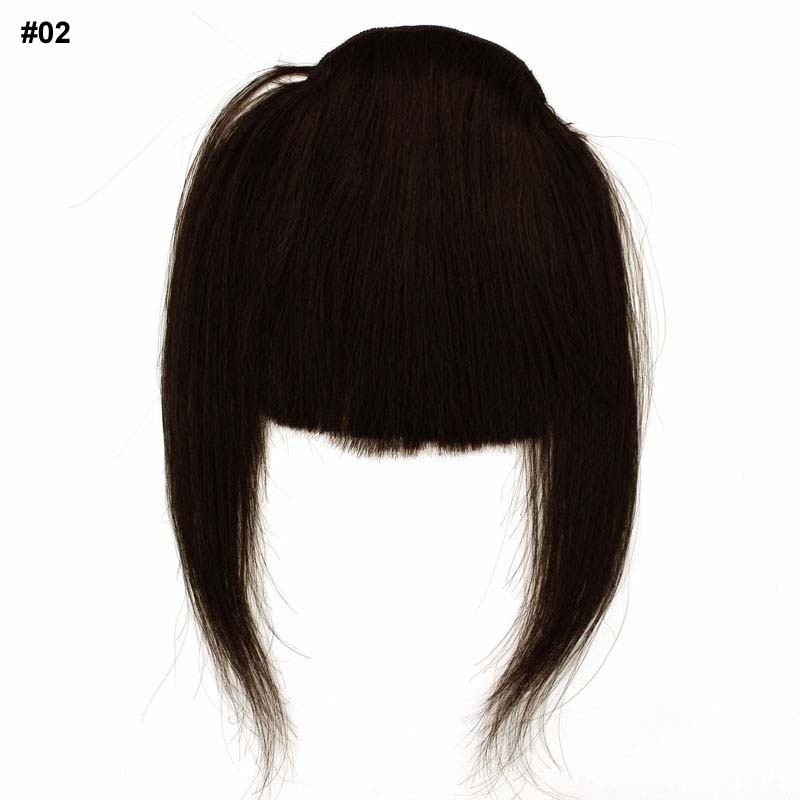 How to Install a Clip-in Fringe? 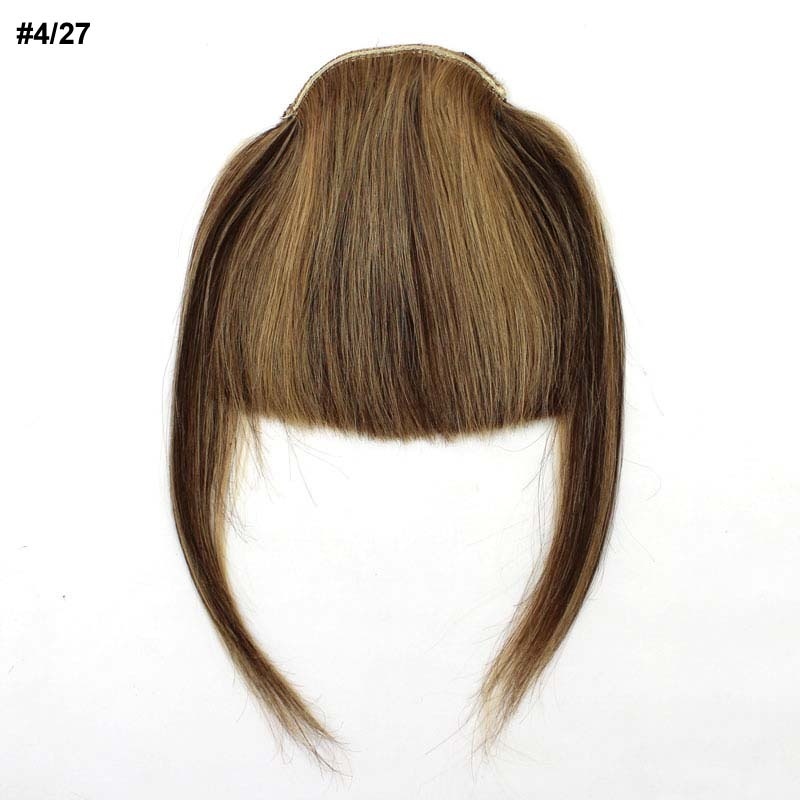 Our fringes are use high quality, genuine Remy human hair and are attached using two to four gentle clips. 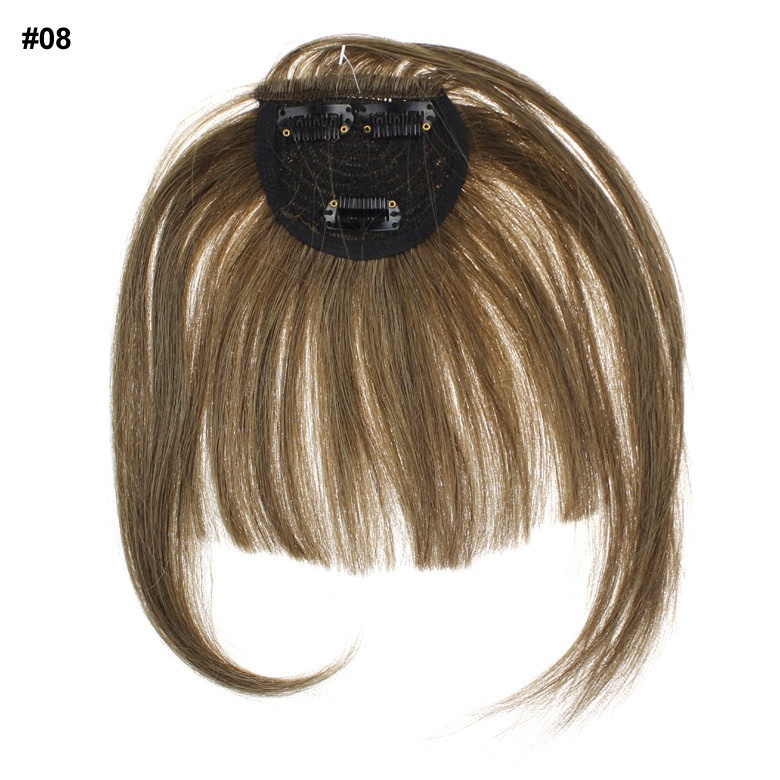 It is so easy to install them and they work the same as our clip in extensions. 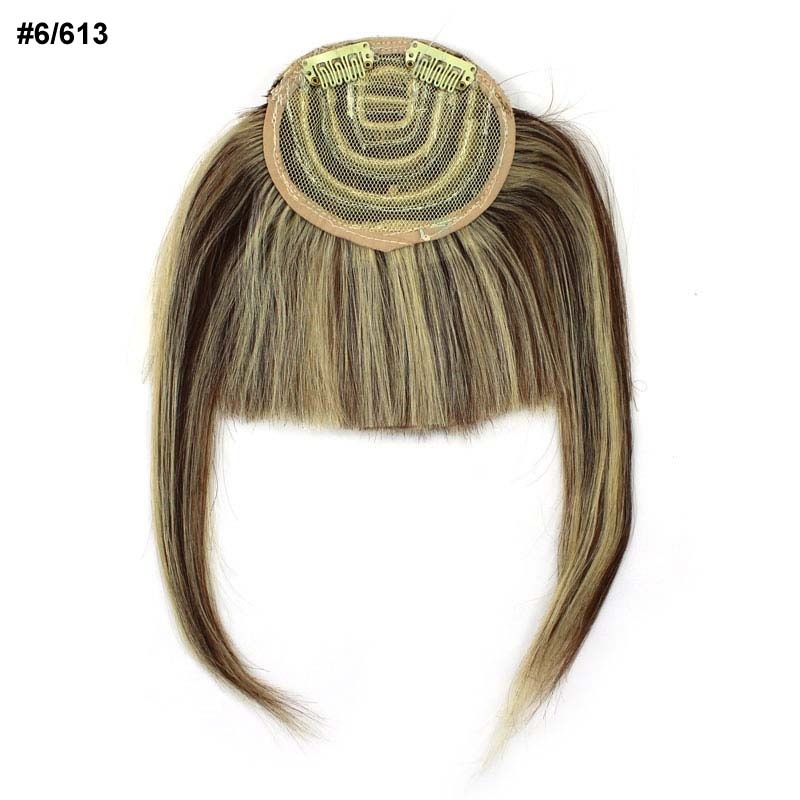 You simply place fringe on the top of your head and close the clips. 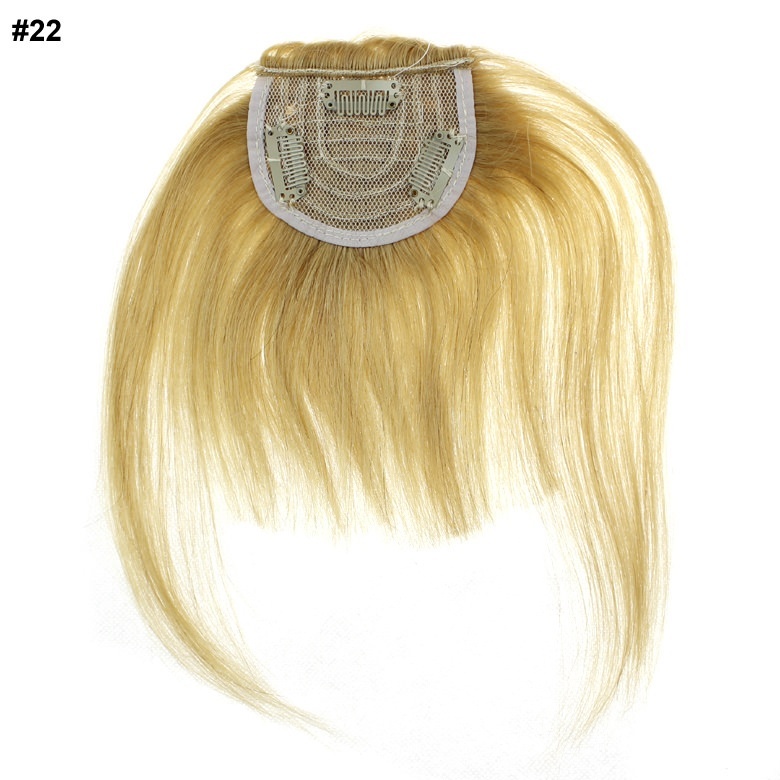 It will stay in place because all the clips keep holding it to the hair and you don’t have to worry about it falling out, ever. 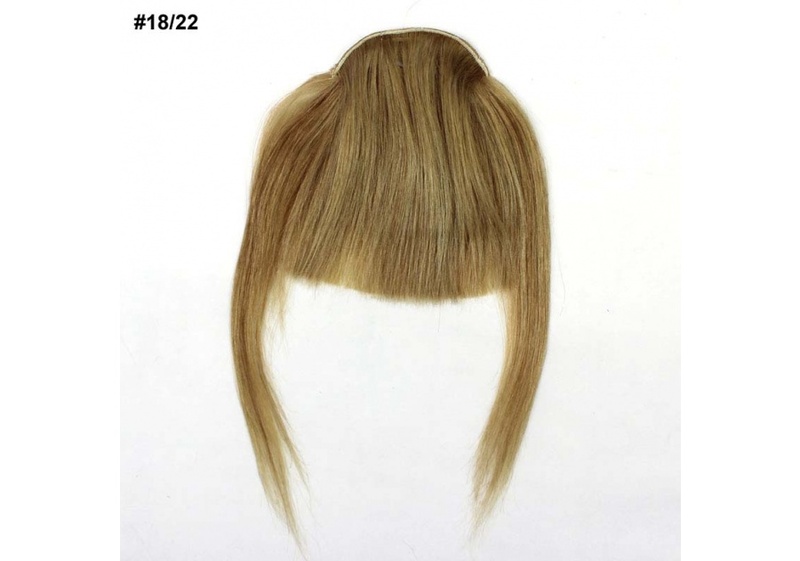 The maintenance of our fringes is also very simple and it takes only a couple of minutes per day. 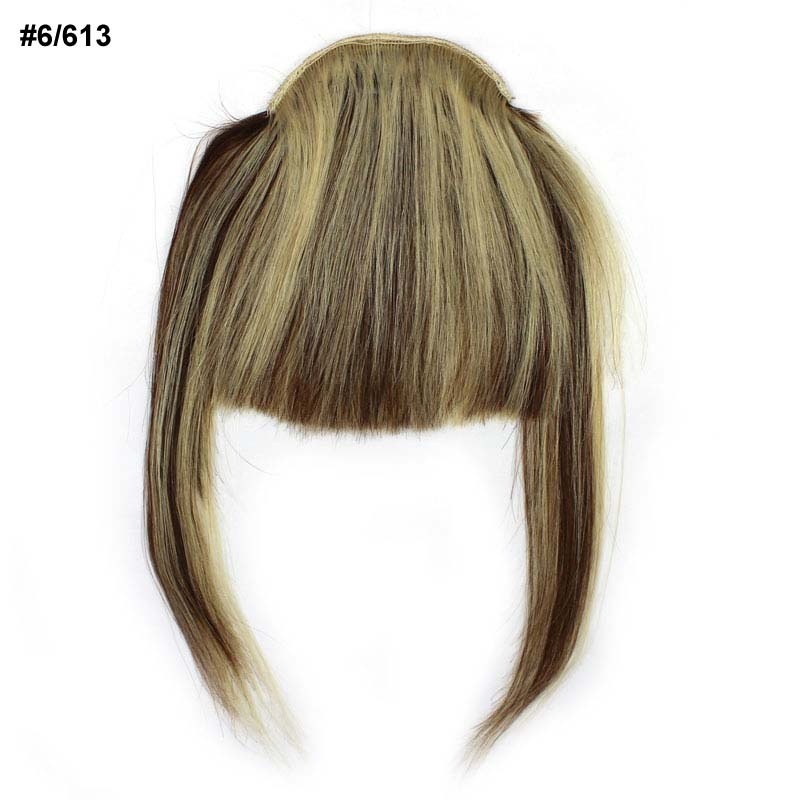 After you have taken it off, you can wash it with a gentle shampoo and put a leave-in conditioner to keep hair nice and shiny. 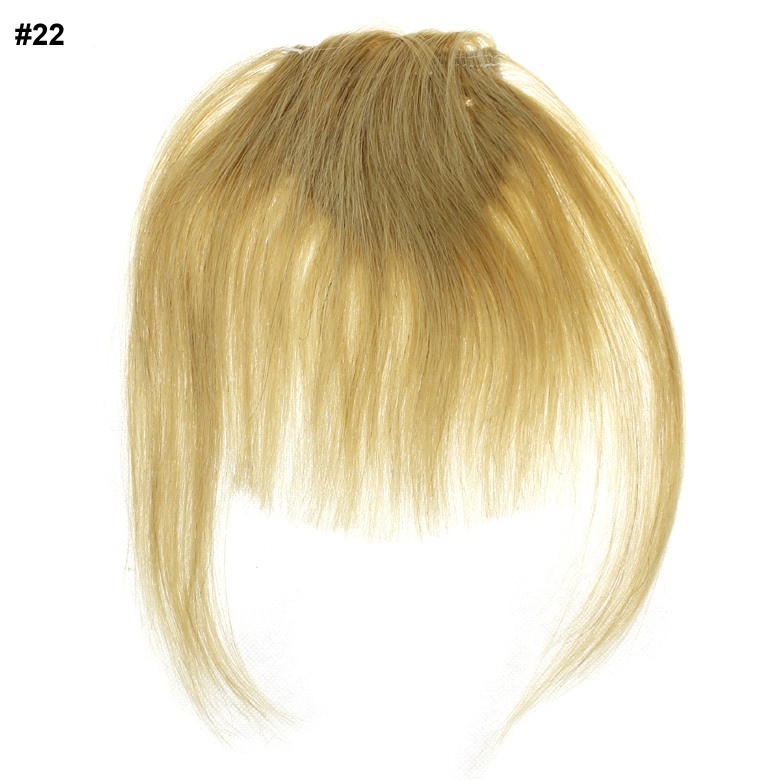 It is best to leave it to air dry, but if you’re in a hurry, you can also blow-dry it. 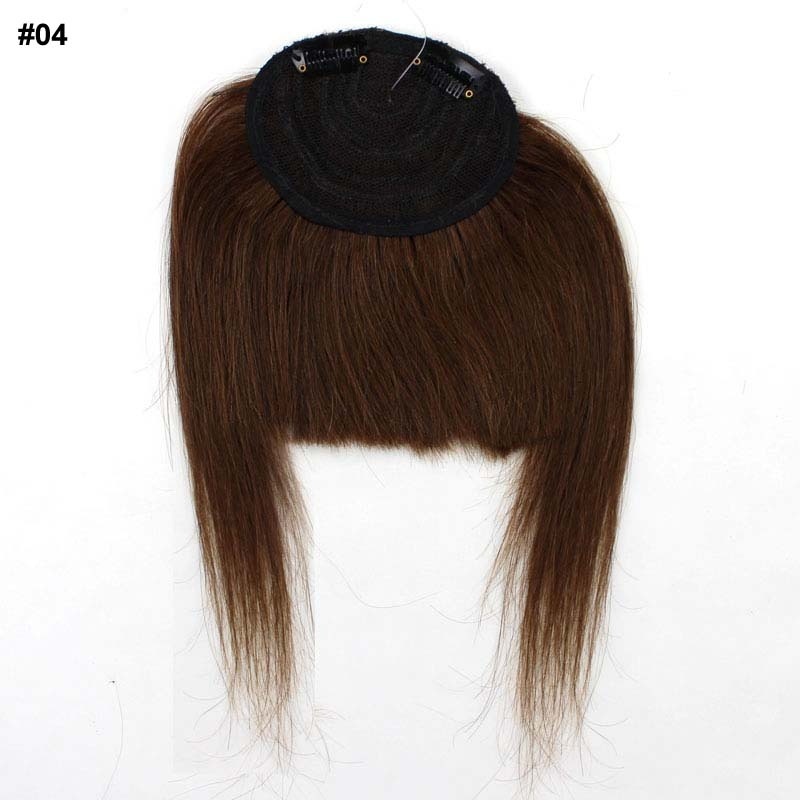 Another thing that is important is to brush your fringe regularly and thoroughly. 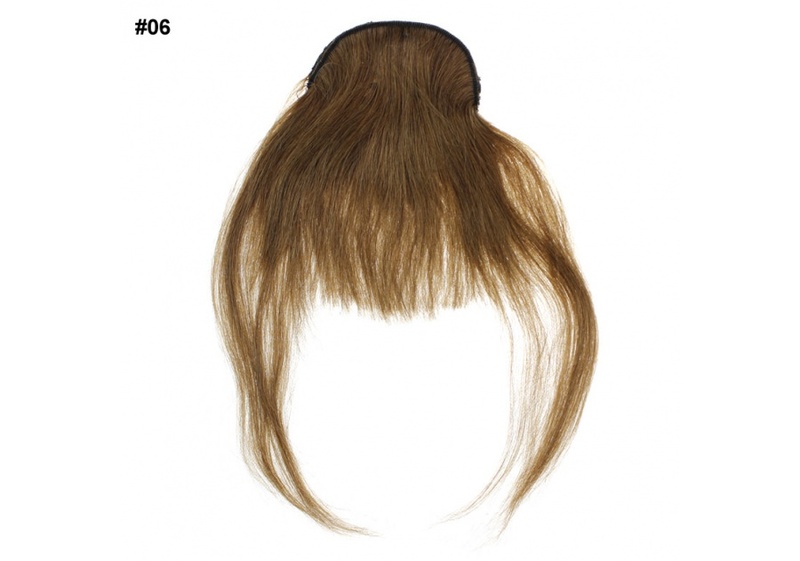 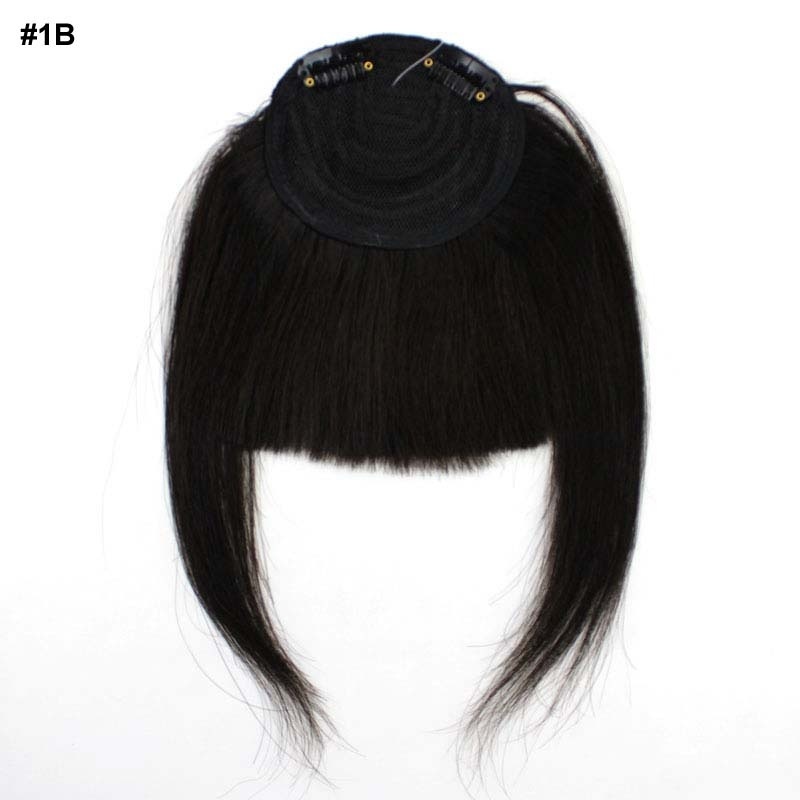 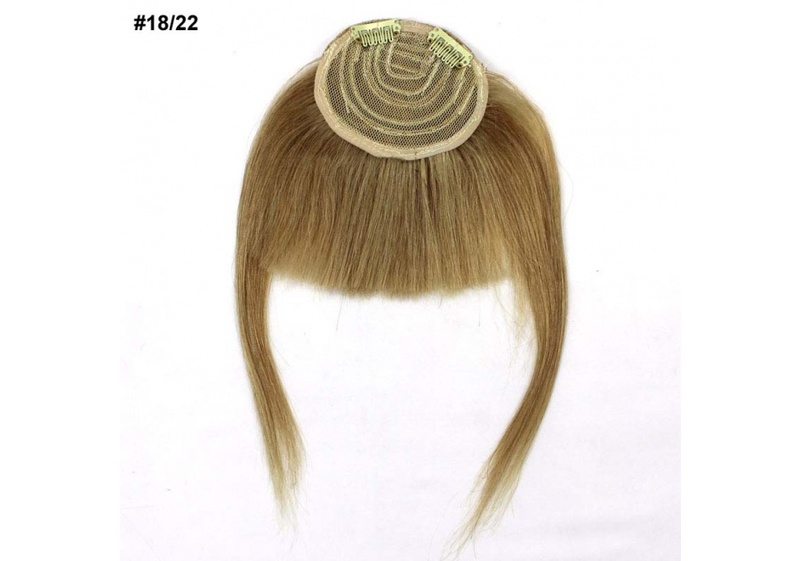 This will prevent tangling and matting and it ensures that your fringe is going to last not months but years. 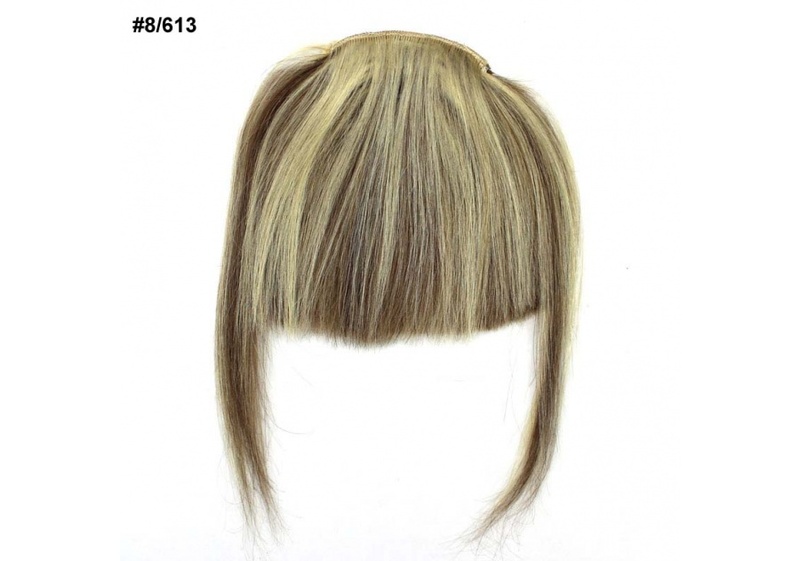 If you’re not sure what style or color will fit you best, you can order a couple of different ones to try out. 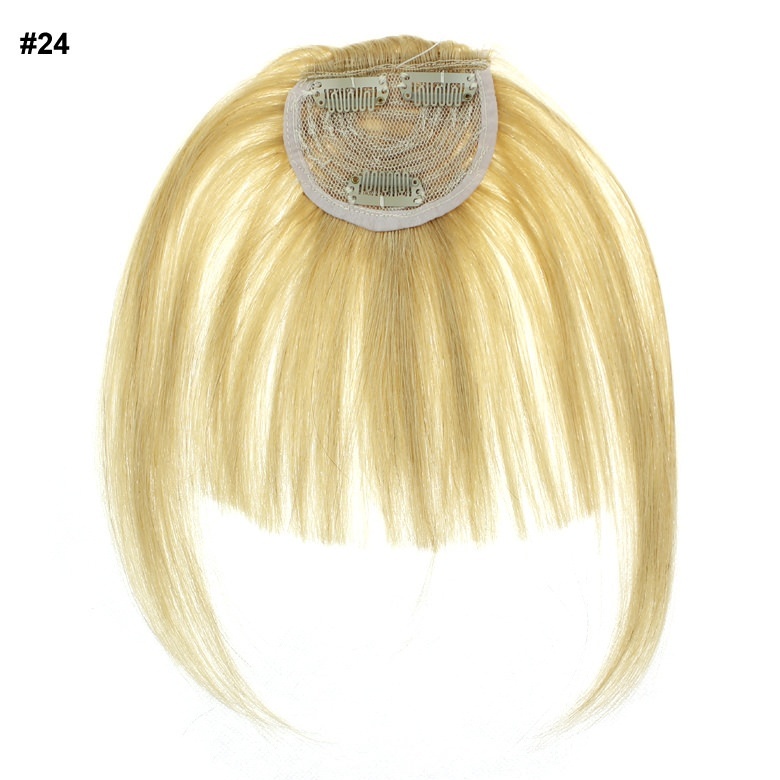 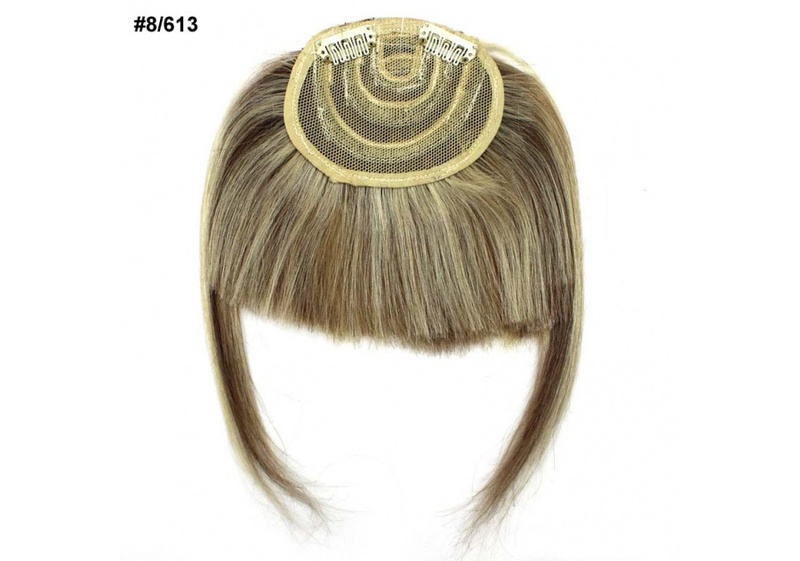 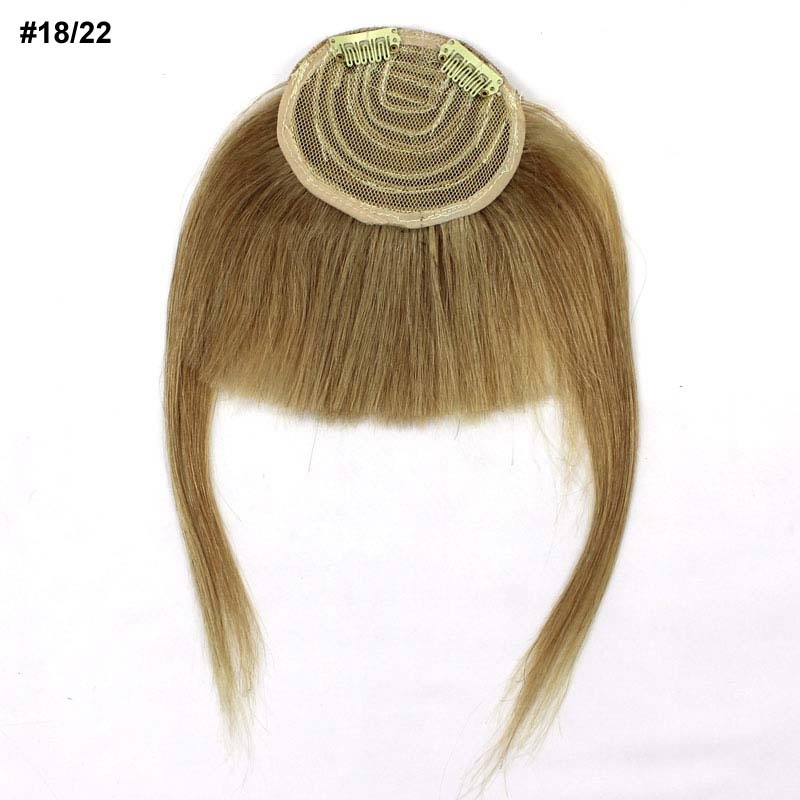 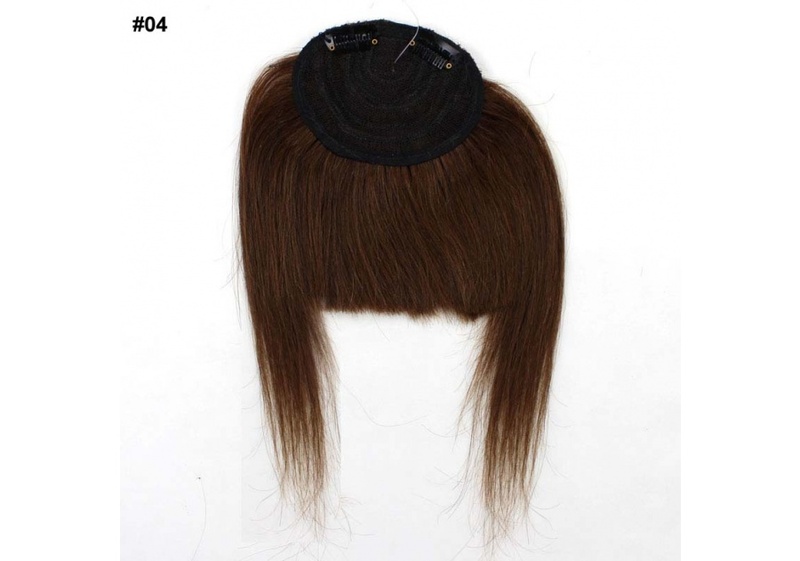 We offer a couple of different shipping methods for our clip-in fringes. 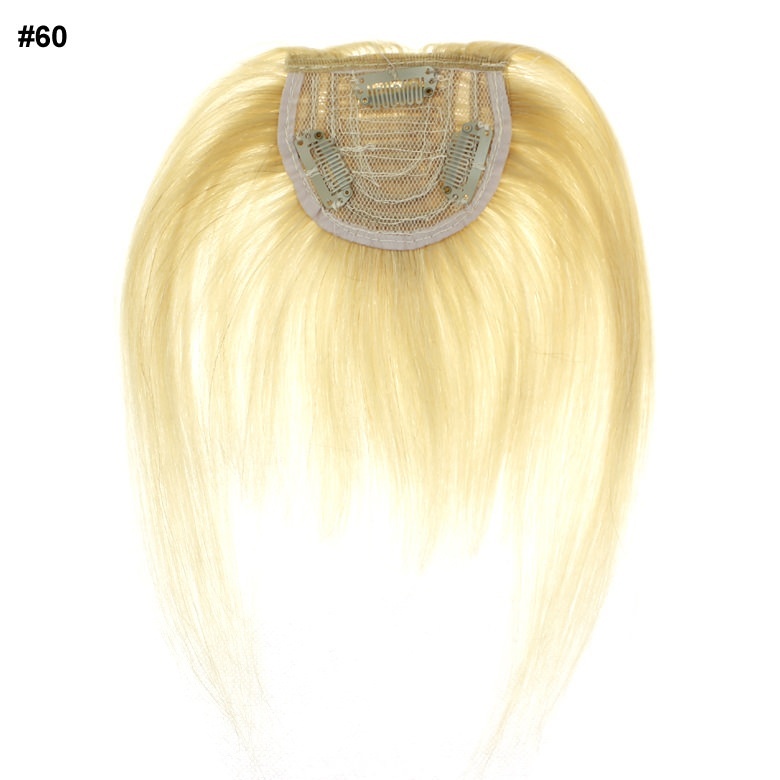 • Free international shipping: we can send our items by registered air mail which will take 10-30 days for the following countries: USA, Canada, UK, Australia and Western European Countries (apart from Italy). 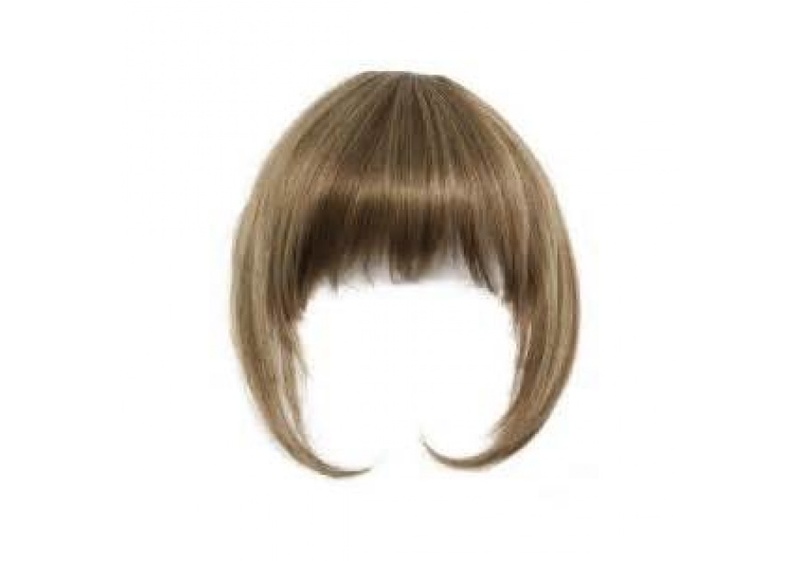 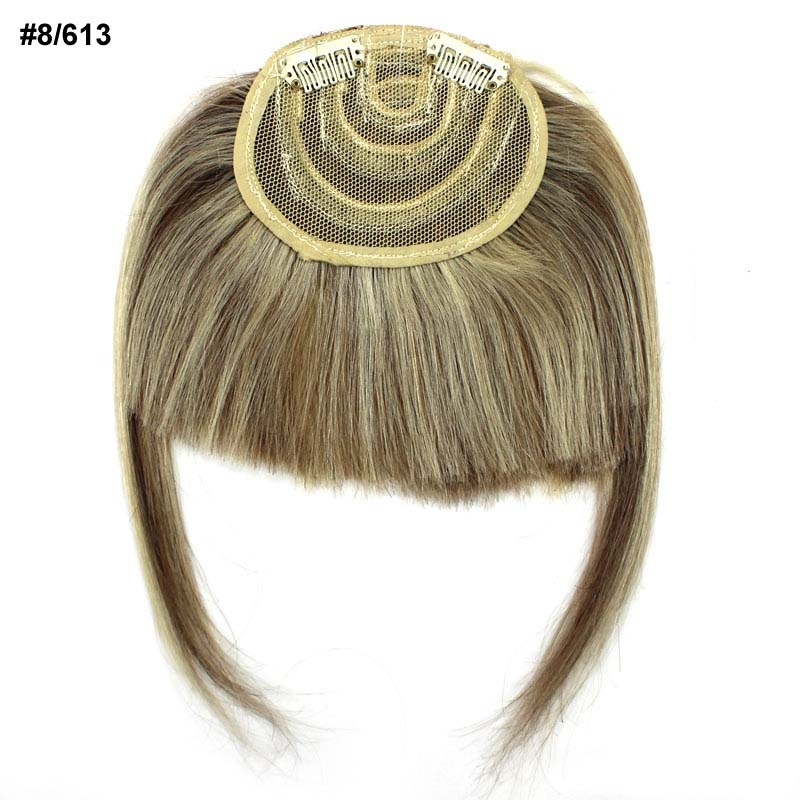 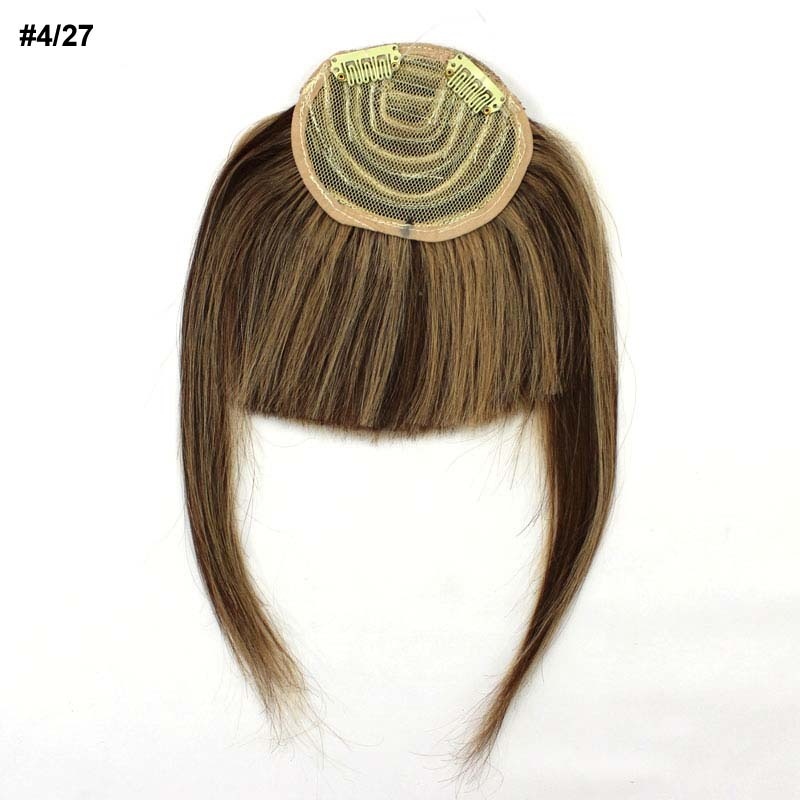 • Expedited FedEX / DHL shipping: if you select this method, your bangs will arrive in only 1-6 business days. 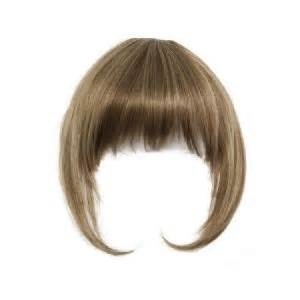 We need around 1 day to handle our items. 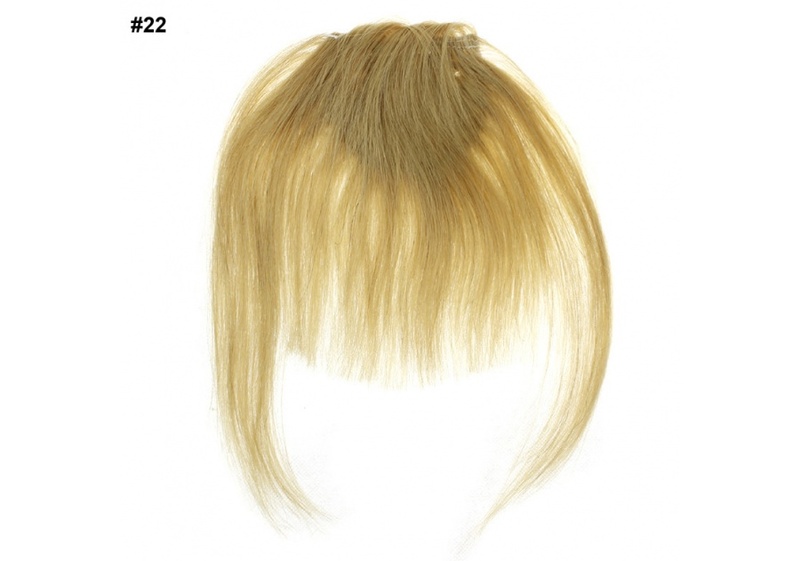 The handling can take up to three days only due to certain circumstances that are outside of our control. 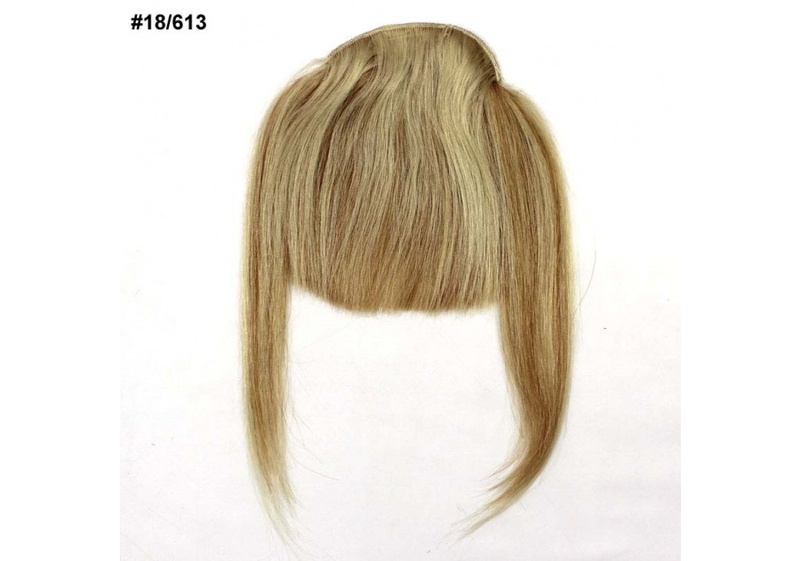 Items are sent out right after the payment is verified.